4.8 stars from 967 reviews. New York approved Exit Signs are here. NYC Exit Signs bring you quality and safety at a low price. 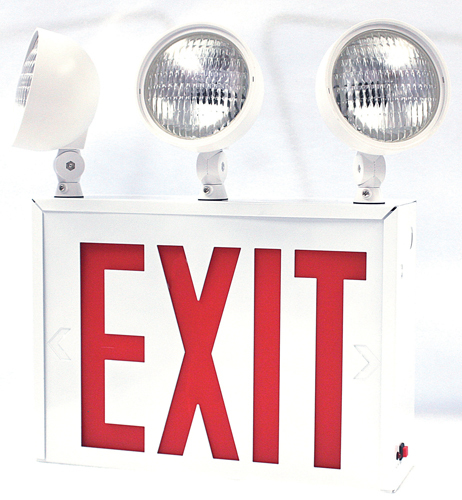 • This New York Exit Sign features a long-life, energy-saving LED technology and three lamp heads. 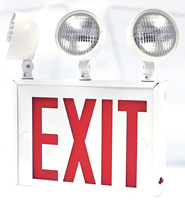 • Rugged 20 gauge steel construction means your Exit Sign will last through harsh conditions. • Unversal K/O chevrons are included. • Installation requires professional electrician. Select the power source for your sign.